Faded Haven Character Contest!!! Finished!!! This time the contest will be simple: Draw one of the "Faded Haven" protagonists or antagonists. As the characters are already, so to say, predetermined the most important aspect will be the art itself and imagination. Dalia Wydman is a 20 years old, merciful human girl with strong character who saw her parents being killed by a man named Kayro and now is traveling the world searching for the man to get her revenge. She is a Gunner and Crimson mage. Her weapons are staffs, bows and guns and she uses heavy armor. Dreik Stormtracker is a 17 years old, friendly and adventurous half-elf guy searching for adventures and willing to help Dalia. He was born in a noble family and after the loss of his parents raised by a dragon. He is an Elemental mage and Warrior. His weapons are swords and shields and he doesn't use armor. Sidix Blackwood is an 18 years old, ironic, skilled and loyal human guy who helps Dalia to escape from prison. After the loss of his family he served in Kauton castle. He is a Gunner and Amulet Summoner. His weapons are guns and other ranged weapons as well as knives and he uses light and medium armor. Mai Tcheno is a 19 years old, joyful and hyperactive human girl who joins the team because her father's spirit has embodied in Dalia. She is daughter of one of the heroes who ended the age of terror, Cronos Tcheno. She is Wild mage and Rogue. Her weapons are daggers, swords and shields and she uses light or no armor at all. Kacy Blackwood is a 17 years old, clumsy human girl who is skilled in transport mechanics. She joins Dalia because Sidix is her long lost brother. She is the chief engineer in Ludlow and good friends with Migraine. She is Necromancer and Doctor. Her weapons are wands and clubs and she doesn't use armor. Cain Nael is a 19 years old, distanced human guy who escaped the prison together with Dalia. He is a son of a tyrant who once ruled over the Mystic continent, but was brought down by his sons. He was accused for killing his brother. He is Dark knight and Sphere mage. His weapons are any dual weapons and he uses heavy armor. Amnesia Berenice is a 33 years old, feminist vampire girl who hates Dalia and joined her by Kayro's request. She is long lost daughter of Migraine and was turned into vampire at the age of 21. She is a Beast Trainer and Dark mage. Her weapon is a whip or no weapon at all and she wears light armor. Akuma is a 5000 years old raven demon guy who looks at the world in his own way. He initially stole team's ship, Argo, but when was caught proposed to help them in exchange of his freedom. He has spent most of life in a magical sleep. He is a Thief and Fighter. He doesn't use weapons and don't wear armor. Cachi Tori is a 26 years old, talkative and kind human guy whose passion is history. He joins Dalia to help her find some materials for transforming Argo into an airship. He is Weapon Master and Holy mage. His weapons are any two handed close combat weapons and he uses no armor. Sonia Dao is a 20 years old, heroic human girl. She helps Dalia to escape from prison. She is former slave and now a local hero of Kauton. She is an Assassin. Her weapon is Katana and throwing weapons and she uses light armor. Migraine Berenice is a 58 years old, Rum loving and hilarious human woman. She brings Dalia over the seas for the first time. Migraine is the most famous pirate captain, best friend of Kacy and mother of Amnesia. She is a Pirate. Her weapons are cutlass and an old musket and she uses light and medium armor. Kayro Whait is a young man with different ethics who chases his past. He is the one who killed Dalia's parents so becoming the first villain of the game. He initially works together with M.I.L.O. and Astaroth. He is a victim of Blood soldier experiments in result of what he got Lich King inside him. He fights using both dark magic and his 2 katanas. M.I.L.O. is an artificial life form created to cure people, but as a side effect gained intelligence and power to control any being or object. He is driven by a fear of death. Manipulated by Astaroth he causes the havoc in the world. Astaroth is the most evil being in the world. He manipulates M.I.L.O. and other villains only to have fun. Being a half darkness demon he possesses incredible speed, power and magical power which combined with his wide range of abilities and coat of darkness that makes him almost invincible makes him into the hardest boss of the game. Rebecca is the sister of Astaroth. She follows her brother's orders without a word and never reveals who she actually is. With her beast trainer skills she leads the gryph attacks. Ryu Moon is a half-elf who looks just like Dreik with exception of hair color, have a similar past and abilities. He hates humans and anyone who abuses children. In team with Lilith Rose, a young blood thirsty girl who was saved by Ryu, they terrorize Kauton and work under Astaroth. His offensive and her supporting skills make them a formidable team. Raiden Thundergrave is a crimson mage looking for fame, power and wealth in any place possible. He is the last survival of his family. Recruited by Rebecca he joins Astaroth's team. Grant is a dark dragoon that has declined the laws of dragoons and look to dominate all dragons. His love to blood and carnage is exceptional. 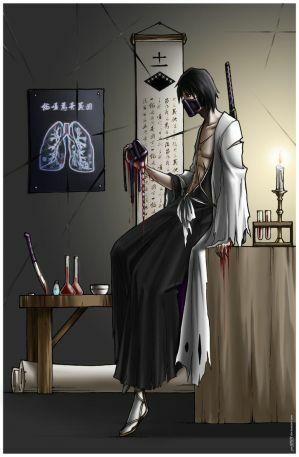 He works under Astaroth in order to achieve his goals. 1. You may enter as many times as you want but each entry must be of a different character. 2. The same person can't get more than one place no matter how many entries he/she submits. 3. Your entry should be of your own work. 4. Your entry can differ from the original as long as it's the same person and we can guess who it is. Change clothes, give them a new hairstyle or some piercings get creative!! 5. Deadline? Contest starts NOW and ends April 20th, 2013. 6. The designs should be posted to your DA gallery along with a link to this journal post so people can easily see what the contest is all about. 8. You need to tell me about your entry by sending me a note or writing in a comment below. 9. Judging will be done by Phoenix Dream team, but all the thoughts of other people will be taken in mind so be sure to leave a comment. 10. In case the contest don't have at least 5 entries it will be annulled. 11. If you have questions check out FAQ. or ask me through a Note or in a comment. - Opportunity to work with Phoenix Dream team. - A full colored drawing from our Art director Siyu Xue. - 3 month journal feature both here and in Phoenix Dream group. - 2 month journal feature both here and in Phoenix Dream group. - 1 month journal feature both here and in Phoenix Dream group. Q: So, uh.. Is this contest is only about redrawing the characters? may I add a background or may I draw 2 characters at one picture? Q: So what's a raven demon? Is it completely free for interpretation? A: Raven demons have green eyes with feline pupils, arrow shaped tail and devil like horns. (click at character's name for appearance). They can also turn into ravens - hence the name. The average lifespan of raven demon is around 15000 - 25000 years. They are able to fly or teleport, are stronger and faster than humans, have good vision and good ears. They usually practice stealing. They are rare and usually are killed by other demons or other races on sight. Q: Where I must submit my art? Q: And do you have example art maybe? A: You can look at all the example art by clicking on each character's name. CHECK OUT THESE AWESOME ARTISTS!!!! I have an entry to add for this contest. I'll add it right away the contest is open till 24:00 GMT+2 10.04.2013. So, I presume that you'll be joining? I have a hard time speaking English, but I will, yes! What I need to do? Yes, I want, but I need more time. Written, and done. Hope you'll like it. I'm playing it on lowest graphics and it's still great. That game is amazing! But playing on the PC is pretty much a must as I can't imagine playing it without all the mods I've installed to increase the variety and improve gameplay and visuals. are you sure your PC can't handle it? Mine isn't that strong either. ok... perhaps you can't run Skyrim... why didn't you ask me for a new PC when I asked what you want for Christmas? neither do I, but I still have a few PSOne games, Forum Fantasy, Civilization 4, The Sims 3, Fiesta, Dragon Age Origins and Skyrim on my computer. Now and then even the busiest person needs to just switch off the real life and venture in another world. We are creating a game here ourselves! We Must play sometimes. Though since the moment I started the project my point of view when playing games have changed. Now instead of simply enjoying the game I'm also exploring it's flaws and strengths and learning from it to make our game better. Still I'm having fun. So, uh.. Is this contest is only about redrawing the characters? may I add a background or may I draw 2 characters at one picture? Magic Contest!!! LAST DAY!!! !Hello again!. Phoenix Dream RPG video game development team has decided to make yet another contest. This time the contest is to create and draw a magic or any other ability of your own design for our new and first game "Faded Haven". The most important aspect here will be the magic/ability itself, the creativity, originality, imagination, technical thinking and style of presentation. We have prepared a quick form to fill with the info of magic/ability you come up with. Skill treesHello Everyone! We have a question to you once again. What do you prefer in regards of skill trees? To be able to see all the skills in the tree or only the ones adjacent to the skills that you have learned? Other? Be sure to leave a comment! Phoenix Dream Recruits!Good day to everyone! The Phoenix Dream indie rpg video game development team (a bit long lol) Is recruiting new members. The project was first started 10 years ago. We have gone through our ups and downs. But we're still around and persisting. One of our main problems was that we were too ambitious. Especially seeing as the project is non profit and all the members were voluntary. So we made a decision to lower our ambitions and go for something more realizable. We decided to create our game on RPG maker XP. Why Xp? Because it's the most accessible and apparently graphically more pleasing. DilemmaThere is a guy who can't be killed unless he gives the permission to someone to do it. (it's his power). Of course he doesn't want to die so he never gives the permission to anyone. An assassin that ALWAYS finishes his job is hired to kill the guy. The assassin knows that it's useless to try to kill the guy so he sticks with the guy for his whole life and they become friends. When the guy is old and would soon die from old age he gives the assassin the permission to kill him. Which assassin honorably executes. Berserker armyFoot soldiers (berserker type) that become invincible and super strong and super fast for a short amount of time after absorbing a special gas/chemical/boost. Bombardiers that drop large amounts of the boost around the battlefield for the berserkers. Battle strategy: Bombardiers bombard the field with the boosts and berserkers charge into the battle decimating everyone in their way. Moving from one boost to another that way constantly being boosted. The boost is poisonous to everyone else. Instant fruitA fruit that quickly develops. As soon as the seed touches the air it turns into a blossom. As soon as the air gets inside the blossom it blooms into a flower with a small ball like shell in the middle which when pierced (to let the air in) transforms into the fruit. The fruit needs to be eaten quickly as it rots in 30 seconds after the first bite (air contact with the fruit's interior). A power to use body fat as burnable slippery oil. It can be used as a pond on the ground, as a spray, etc. Slave overlordsImagine a race of Servant/Slaves who are very nice and friendly and adorable and love to serve. Sounds all good and nice Well the truth is that they are actually a very powerful race that can not be given freedom and power cause they are very easily corrupted by it and become warmongers and tyrants. Harsh lifeIdea of a story about a rich boy that has been suddenly thrown into streets. Kind of like The price and the pauper. The thing is that the idea has soo many unexplored angles. And I don't know of a story with this theme that would take place in nowadays. (je peux uploade une version francophone pour le concours si tu ne comprends pas cette version. Envoyez-moi une note). Your entry must include one or more of Acaciathorn's OCs (more details just below). You can use any art medium - digital, traditional, sculpture, photo manipulation, 3-D render, whatever - as long as it follows rule number one. You cannot, however, submit poetry or prose. Sorry! Follow basic Deviantart etiquette: no art theft or traces, please! Ladies of Genmakoken Contest CLOSEDOkay, kiddos it is contest time again and this time GRAND PRIZE is $200 USD! Unfortunately, due to some issues I have to deal, I'm not able to count the votes and reveal who are the winners on the 1st July. I'm really sorry, I don't like to leave without finish a chore. And I'm not sure when I can continue the counting...I'll do my best to let you know the results as soon as possible, not in this weekend as promised, but in the next one. I beg you to understand and besides the other prizes, to compensate the ones who have already voted for all categories without having to, I have a surprise with one more prize. We are celebrating two years, we are renewing our Super Group status, it's the renewal season, after a cold, damp, grey Winter (I know, not in the South Hemisphere - but you continue to have good weather there so you will be with the right mood to participate too). DeviantART community, I am very honored and very pleased to announce that for today, we will be having Arthur Fong, a visual development artist at DreamWorks Animation Studios. He is part of the team who made us giggle with The Croods and made us feel with so much awe in The Rise of the Guardians especially to all the Jack Frost Fans out there. The interview will be all about some insights on the modern day cartoons and to see how the persons behind the cartoon shows that we love work and how they put so much effort in making us smiles each time we watch such great movies and shows. Spring Contests :March: 2016Spring is in the air, and you know what that means..... More art to draw! You know how this works~ Contests, one month in advance! UPDATE 10/29: We're still waiting on one judge's results in order for the winners to be announced. Right now, there are about 8 entries tied for 2nd place, so this last judge's results are very important for determining the winners. Winners will be announced NOVEMBER 7TH, as the judge plans to have all entries scored by then. Thank you for your patience! We're excited to see who wins, as well! You just won't be part of the voters choice section. THIS IS A TRADITIONAL ART DRAWING CONTEST. Grab your wand of choice and conjure up anything you can think of that represents this fabulous holiday. From black cats, the full moon, bats, pumpkins, scarecrows, creepy creatures to witches and warlocks. This contest is going to be a little bit different as it isn’t just my characters/OTP, it’s a few friends as well. There will be 3 themes and each theme’s main prize is 100$; However if a lot of people enter; I will of course raise the prizes or add more. Before we start with prizes and themes – let us talk about the Rules, Joining the Contest and End date. - Characters belong to their owners. You may not steal/trace/use any characters here. - Please keep to the character/s you are drawing as best you can. I understand markings/outfits can often be hard but please do not switch the outfits/etc unless the theme is you can. The purpose of this contest is the realization of an illustration of 16,8x24cm (plus 0,5mm of bleed for each side - you can find the template below), that represents the main character from 'CyberSteel', a story created by SirWendigo and Thiefmarine. 3 illustrations will be selected among the participants and printed in the Italian version of 'CyberSteel' #2, self-published by the authors. This contest is dedicated to the first OC that I ever created, Seisui Naito. 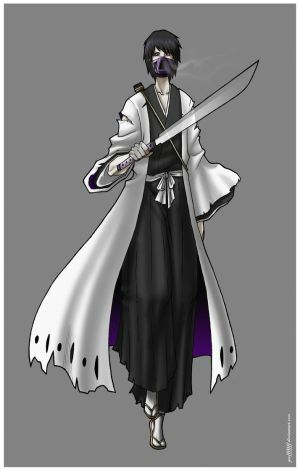 The Captain of my 11th Division alternate-universe of Bleach, he was one of the things that brought me to this website so many years ago. Without him, I would never have started my project. I owe him so much. He brought me here, helped me kick of a universe of writing that would see my skills improve over years, and introduced me to friends from around the world. I figure it's time to pay him back. 20 Days Left For The Contest!!! !There is only 20 days left until the contest end date. There are only 6 entries so far. I want at least 15 entries by the due date so that I can actually judge over more than 6 entries. Also if some of you could spread the word of this contest, that would be great. 1. Must use one of the eye stock below. 2. Must be a new work. I will not accept anything before the start date. 3. Must be either Manipulated or Drawn. 4. Only one entry per person. 5. Must put in the description that the eye is for this contest and have a link to this journal. 6. Contest Starts October 12th and ends December 14th. 7. Must credit either my stock account Becs-Stock or my main account Kizuna-chan Which ever the stock came from. Also credit any other person if you use their textures and whatnot. 8. Send me a note titled 'Contest Entry' with the link or thumbnail of your work. CONTEST: overTHE CONTEST IS OVER. I will do other contests in future so stay tuned! Welcome to my first big contest! The themes are my OCs: Judschak, Dara and Bekho. When the contest is over, I will feature each piece in journal entries on a regular basis. Faded Haven Character Contest!!! Finished!! !Hello again!.